It’s no secret that the holiday season means lots of extra garbage bags of crinkled wrapping paper and holiday party leftovers. From Thanksgiving through New Year’s Day, household waste increases by more than 25 percent. Sure, your trash collection company will whisk it away with your usual garbage. But we can also all make small changes to reduce our waste this holiday season. Check out some of our tips below! When ordering online, most items will be delivered in cardboard boxes. Corrugated cardboard should always be recycled! You can also recycle many other cardboard or paperboard items such as large and small gift boxes, any color packing or shipping boxes, and paper gift, tote, or shopping bags. Just be sure to collapse all items as flat as possible before setting them out for recycling pickup. If you’re shopping in-person, remember to take reusable bags with you. That way, you won’t have to use paper or plastic bags at each store. 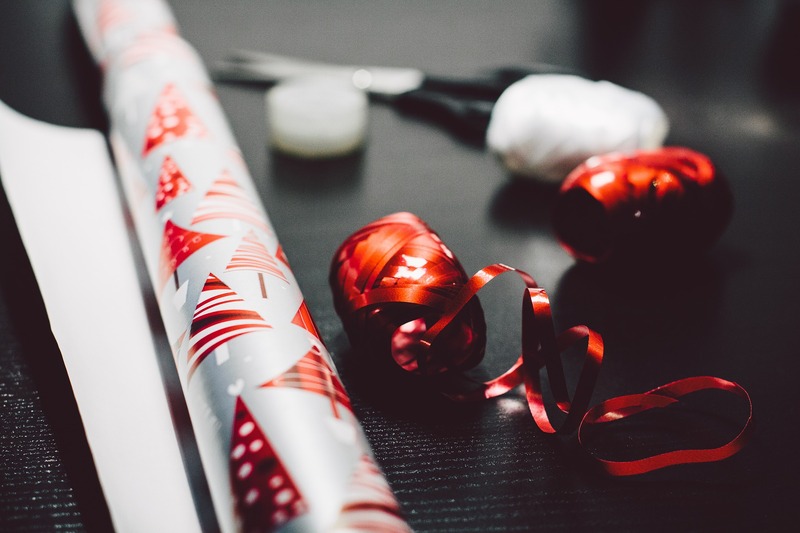 Wrapping paper can be complicated when it comes to recycling. Since most wrapping paper includes things like dyes, laminations, glitter, foil, or plastic additives, and tape, it’s often not recyclable. If you opt for paper without these additions and remove all tape it can be recycled. You can also opt to reuse things like newspaper, comics, calendars, or magazines for wrapping paper since they are all recyclable. When sending out cards, keep in mind that materials like photo paper or cards with things like glitter, foil, or ribbons cannot be recycled. Opt for cards that are made with recyclable paper or save money and materials by sending e-cards instead. Tis the season for the latest gadgets. The holidays are often a time for new electronics...which leave you with the question of how to get rid of older items. From Christmas lights to a new TV, here are some tips for reducing your e-waste this season. If you opt for LED lights to use less electricity, keep in mind that old strings of lights cannot be recycled since string lights get tangled in our machinery. If you’re giving gifts that are powered by batteries, consider buying rechargeable batteries instead of single-use ones. If you’re buying electronics, check to see if the company you’re purchasing from offers an electronic recycling program. Some, like Apple, may give you a gift card or credit in exchange for outdated devices. Learn about Apple’s trade in options here. components of such devices cannot be disposed with municipal waste. So if you receive a new TV, computer, or other device this holiday season remember to properly recycle your old ones. You can visit this webpage for info on how to find an electronic recycling center near you. Consider giving gifts of experiences instead of material items. Concert tickets, museum memberships or gift certificates are low-waste and always appreciated. Platforms like Groupon, Living Social or other local websites can help you find great deals and offerings. If you’re hosting, make your table setting waste-free by using reusable plates and cutlery instead of disposable. You can also decorate the table with seasonal fruits or plants which can be composted rather than thrown away. With just a few simple changes, we can all enjoy a happy and low-waste holiday this season!